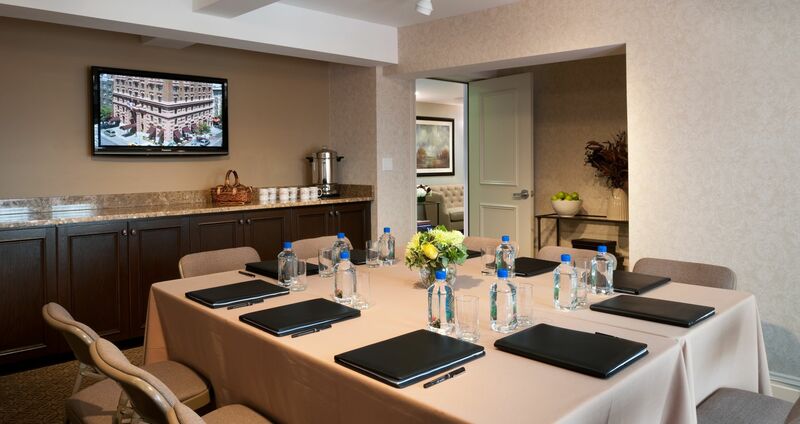 The Lucerne Hotel offers an elegant meeting space on the Upper West Side ideal for small parties and corporate meetings. The hotel's executive room is a private 1,000-square-foot meeting space located on the hotel’s Penthouse level, which can accommodate 50 people comfortably. The Lucerne's additional NYC meeting space is a small breakout room on the same floor, allowing larger teams to break into smaller, more intimate groups. For those arranging business-oriented gatherings, The Lucerne's friendly technical support and Wi-Fi access make meeting planning seamless. Offering projectors, drop-down screens, and surround sound, our NYC event space is great for business networking, small conferences, or social gatherings. 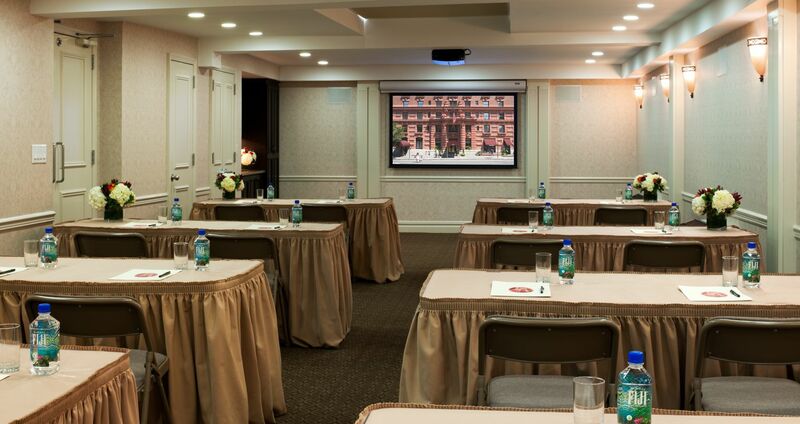 To plan your next corporate or social event at our Upper West Side hotel, please complete an RFP form. Learn more about hosting meetings in The Lucerne's beautiful executive room: email sales@thelucernehotel.com.